On Sunday, Mark and I took a drive up to Kings Canyon National Park. It has long been a favorite of ours, but we haven't had time in the last couple of years to go there because we have spent so much time at Lakeview Cottages. It is only an hour and fifteen minutes from our driveway to our destination. Now I know that Yosemite gets a lot of spectacular press, and it is pretty phenomenal, with the gorgeous waterfalls and Half Dome, but Kings Canyon is spectacular in its own right. While it doesn't have the waterfalls of Yosemite, it also doesn't have the crowds. What it does have is General Grant, the giant redwood that was designated the Nation's Christmas Tree back in 1926.
and a hike to the top of the world. Actually Panoramic Point, which seems like the top of the world to me because of the phenomenal view. while you enjoy this view. You may remember Christa from her party planning skills for Mark's birthday, with the Minnesota State Fair theme. 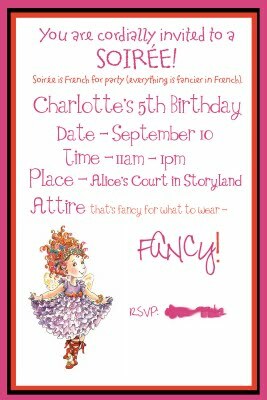 Charlotte is turning 5 and, of course, Christa is using her skills at designing the invitation to what looks to be a fabulous, and oh-so-fancy, party. 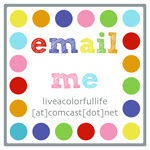 You might want Christa to design something for your next party.You will not be sorry! While we're on the subject of parties, it's been a long time since this little wooden pig has made an appearance here. But he used to get passed back and forth between our house and the Harper's house. He'd show up for birthdays with a balloon tied jauntily to one ear. Graduations, Father's Day, here celebrating Jessie and Luke's wedding. We would try to remember to write the occasion and date on the back. Lately he has been spending his time on a garage shelf. Poor little pig. And then Mark got this amazing birthday card in the mail from Jessie's sister, Valerie, all the way from Texas, y'all! I officially started back on Weight Watchers yesterday, to get back on track with healthier eating habits. Can someone please explain to me where weight goes when you lose it? And once it's lost, why can't it stay lost?? I can't end this randomness without something quilt-y. Last week Levi (3 1/2) and I went to the local quilt shop. I had a gift certificate burning a hole in my pocket, and he wanted a new pillowcase. I thought it would be fun to have him choose the fabric for his pillowcase. On the way there he said he wanted dinosaurs. We looked at all the dinosaur fabric, and while it was "okay," nothing really excited him. You know the feeling, right? Then he saw this fabric with all the big equipment, and that was "it." He even chose the green and black stripes all by himself. I think he did a good job and we had a great time looking at fabric. He's got a good eye and knows what he wants. He may become another "guy who quilts." I'd be fine with that! Wow, that was a great post - you covered so many topics. Those views are absolutely wonderful. On top of the world. I can totally relate to 'weight watchers'. It's soooo hard. 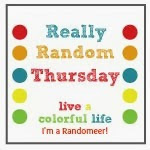 I thoroughly enjoyed all the random things in this post! That tree and the views are spectacular! What a great place to get engaged! The pig is too cute--- what a fun idea to pass it back and forth. Love the pig reference on the card, too. 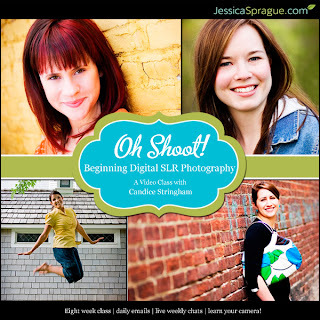 I have a Canon Rebel, too, and could stand to improve my photography, so thanks for sharing the "Oh Shoot" course! My goodness, you are always soo busy! The photos from your trip are just beautiful. I am starting to think about Lily's 6th bday next month and that Fancy Nancy invite is such a cute idea! Lily loves those books too. Thanks for the photo tour of Kings Canyon! I have never been there or to Yosemite...wow...can't imagine seeing those redwoods up close and personal. Hope Charlotte enjoys her big girl 5th birthday party. Glad to see you've brought the pig out...so cute! Good luck with Weight Watchers (I have the online app...not that I use it...ha) and the photography class. King's Canyon sounds like my type of place to visit - great scenery and no crowds. A little sunshine to put one to sleep while reading sounds so relaxing. Love the moving pig!! That is a great idea. I'll bet the fabric shopping therapy was fun for both of you and the pillowcase came out so cute. Good luck with the WW. It's a great program for learning to eat correctly. That day of hiking looks fantastic! I miss having days like that from the living in the western mountains of Colorado. I'm so excited for your photography class! I bet you're going to learn a ton. Wish I could have taken that for summer school. Looking to hearing all about what you learn! Aww... I love the pig card! Great idea, Val! And all that other stuff... You who claim to not accomplish much! Ha! 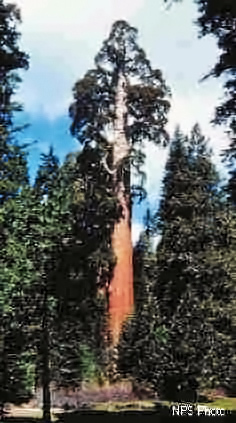 Someday I would love to see a giant redwood tree in person. It's on my bucket list:)For now I can only imagine how awe inspiring it must be. It was random, but I loved it! Especially that view - WOW. I love your Random posts! Eli is a skilled fabric chooser - he comes by it honestly to be sure. Looks like lots of fun stuff. Thanks for the link to the online class. I need one for the same reason. I'm going to go look into it!